Alumni Union has teamed up with World First, the award-winning currency specialist, to help you get more for your money when making international transfers. Whether you’re buying a property abroad, sending money to family overseas, transferring your pension, or paying for international tuition fees, you’ll want to make sure you’re getting the most for your money. World First provides great exchange rates that mean your money could go further compared to using your bank as well as and high levels of customer service and an easy-to-use online platform that lets you deal around the clock. As an added bonus, Alumni Union members can get a discount on their first international money transfer. For more information about World First and the Alumni Union discount, click the banner below to join and get info. Alumni Union’s Wealth Management partner, Tanager Wealth Management LLP, serves the needs of US-UK taxpayers living in both the UK and the USA. They provide financial planning and investment advisory services tailored to meet your specific cross-border needs. All their financial advisors are American citizens living in the UK who are qualified to give advice in both jurisdictions. They have a lot in common with you and understand what it means to live a trans-Atlantic life. Tanager Wealth Management LLP is pleased to offer Alumni Union members a free initial consultation together with a discount on their standard investment advisory fees. Click the banner below to join and get info. 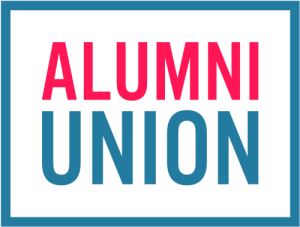 Alumni Union is a free, members-only buying club giving university alumni and students, their families and friends access to a range of carefully-curated offers. Explore our great deals, check out the savings you can make and sign up today.